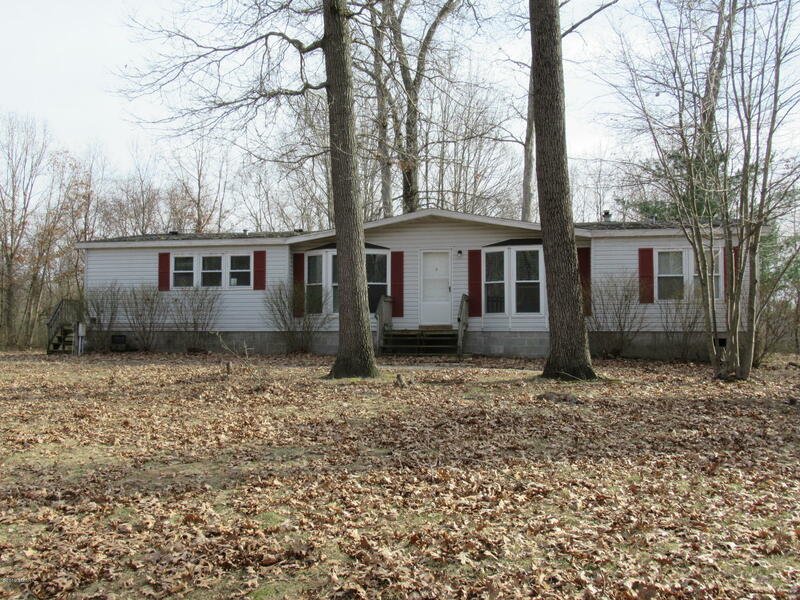 Great buy on a spacious three bed, two full bath manufactured home. This home features a living room, dining area, family room with fireplace, open kitchen off the family room, huge master suite with dual sink on suite bath. Large garage with plenty of storage space. 4 acres of land which allows the home to sit back off the roadway. Home has been leased and the homeowners haven't lived in the home recently, so they are selling it in As-Is condition. To allow for improvements to be made, seller's are willing to contribute $10000 towards roof repair and touchups. Hire it done or fix it yourself and have a great home in the country. Call to schedule your showing today.